The inaugural Inter Academy Football Carnival was successfully concluded on Saturday, 16th February 2019 at City Football Complex. The program was organized by the Technical department of Football Federation of Sri Lanka. 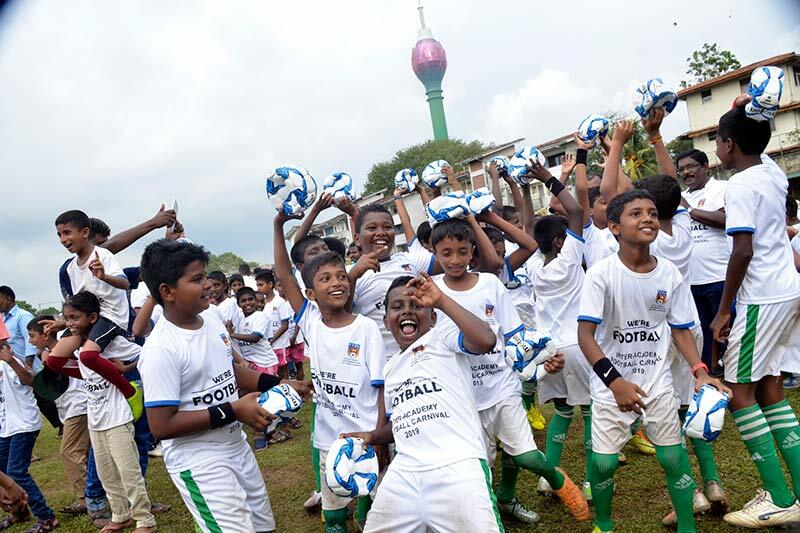 A total of 26 Football Academies from Colombo, Matara, Kalutara, Galle and Gampaha took part in the first phase of Inter Academy Football Carnival held in Colombo and the second phase to be held in Kandy next month. The program was a highly successful event which brought happiness, competitiveness and unity among kids who really enjoyed the event. Not only children, but also the parents engaged with this program with a highly enthusiastic. “We hope to conduct these types of Football carnivals all over the country as a great investment to the future of Sri Lanka Football. Coaches can identify talented and skillful young kids through this type of event and develop their skills to the national levels. Also this is a great opportunity to attract young kids to play football and make popular Football among the children” said Mr. Dudley Steinwall the Manager of Footall Academies of FFSL. The carnival was conducted for the Under 12 age category and 26 Football Academies was divided into 7 groups and they played in their groups. At the end, 7 group champions were selected. Barcelona Football Academy, First Touch Football Academy, Saunders Football Academy, Manchester Soccer Academy, Renown Football Academy, Jaffna Football Academy and Java Lane Football Academy were the Champions of their respective groups.